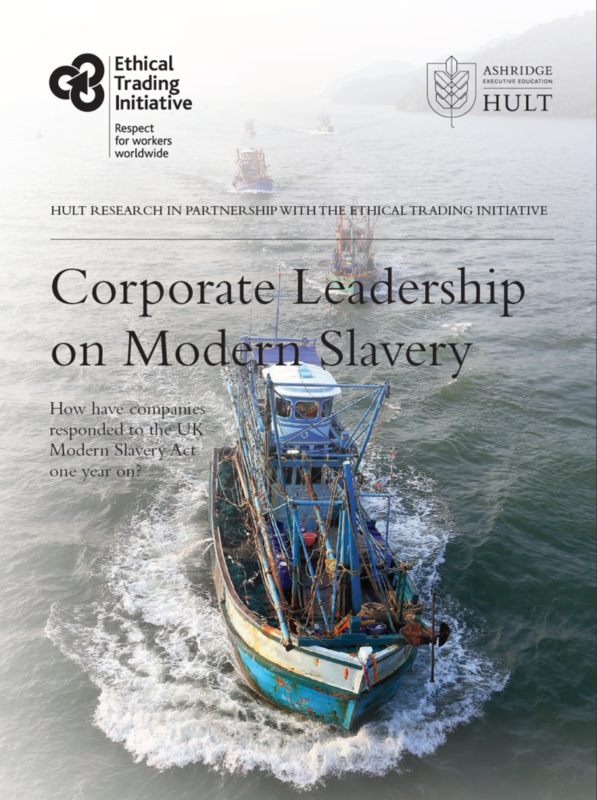 string(1067) "Resource Centre > Uncategorized > Corporate Leadership on Modern Slavery"
This report provides the first in-depth analysis of corporate perspectives on tackling modern slavery one year on from the introduction of the UK Modern Slavery Act. Companies that took part in in-depth interviews were selected because of their reputation as leaders on ethical trade or companies that have been public about their commitment to address modern slavery. Those taking part in the in-depth survey all had established policies and strategic commitments to ethical trade before the Act was passed. The findings presented in this report reflect the insights and practices of this group of companies who are more advanced in their approach to addressing modern slavery, and not the practices of all companies required to report under the Modern Slavery Act.